IBD Hideaway Haven Nail Lacquer - Polish Etc. Tonight, I have a collection of soothing colors from a new to me brand to share with you all. I feel badly, as I have taken much longer than I intended to with this review. But I have all of these pretty polishes to go over with you now! Better late than never, right? 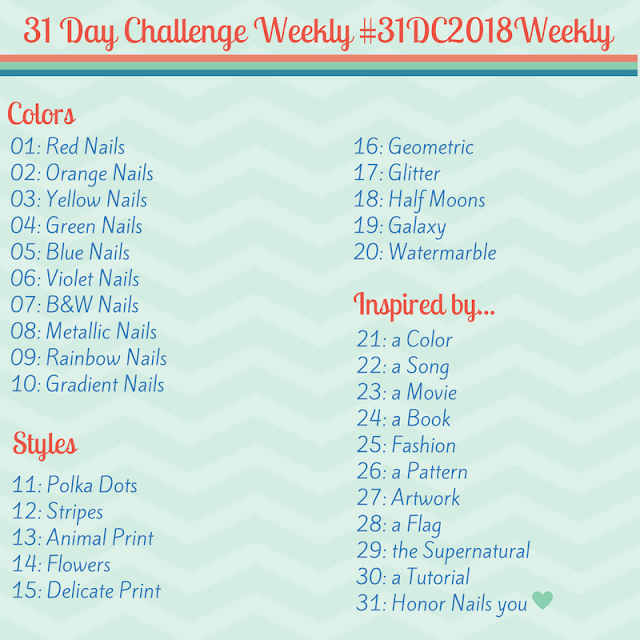 IBD is a big gel polish brand but they also have regular nail polish as well. I was sent this collection along with some base coat and top coat. I was very impressed with all of the products. The base coat is sticky and lasted at least 2 days for me (my manicures do not typically make it past the first day) and the top coat was shiny and dried super fast. Let's take a look at these tranquil shades! "Beauty Sleep" is a pale pink creme polish. This may look white or cream colored in low lighting but it is definitely pink. I did two thick coats topped with the IBD quick dry top coat but you might want to do three thin coats for more even coverage. It's a nice palate cleanser. "Whimsical Wanderer" is a shimmery topper that is packed with gold shimmer and sprinkled with rose gold hexes of differing sizes. I used this as a topper but you could possibly get it opaque on it's own with enough coats. I did one coat over Beauty Sleep and topped with the IBD quick dry top coat. I have seen this glitter combo several times before in other brands. It is a popular shade. "Serene Slumber" is a peachy coral creme. Even though corals are usually more of a summer color, I enjoy wearing it all year round. This shade had a very nice formula. I used two easy coats topped with the IBD quick dry top coat. "Tranquil Surrender" is one of the shimmer polishes in this collection. It is a brown toned red with golden shimmer. I really liked this one. It is great for fall and had a nice formula. The shimmer did not make it look too frosty, which is good! I used two coats with the IBD top coat for this swatch. "Sweet Sanctuary" is a lovely dusty medium purple creme. If you like purple polish (and I know many of you do! ), you will find this one delicious. Great creamy formula here. I did two medium coats topped with the IBD top coat. "Head in the Clouds" is the other shimmer in this collection. It is a cool toned dove grey with a slight silvery shimmer. This shimmer is subtle and much less frosty than the other. The formula was still good and easy to apply in two coats. It's a nice color for winter. "Mystical Muse" is the other glitter topper of the collection. It is exactly the same as Whimsical Wanderer but instead of rose gold hexes it has silver hexes. The combo of silver and gold makes it work well with a variety of colors. I did one coat over Head in the Clouds topped with the IBD top coat. So shimmery! "Calm Oasis" is a dusty minty blue creme. I really love this color! It works well for winter, spring and summer. This has a nice creamy and opaque formula for being such a light color. I did two coats with the glossy IBD top coat. I have enjoyed these polishes and I hope you enjoyed the colors as well. the IBD brand is sold at many professional beauty supply stores. If you don't have a cosmetology license to get into these types of store, head to the internet. I found them all on Transdesign which I has purchases from many times. You can also find them on Amazon. Which color was your fave? Hmmm...never heard of this brand. Pretty colors! I hadn't either other than seeing them on Transdesign. But I am pretty happy with the quality! Yeap.. these colours are awesome! I`ve just returned from Ibiza vacation. My hubby presented me a ticket to the nail salon. The amazing and very talented nail technician applied something cuter than gel ibd . My nails look mesmerizing! I`m sorry I cannot show them off at the moment.